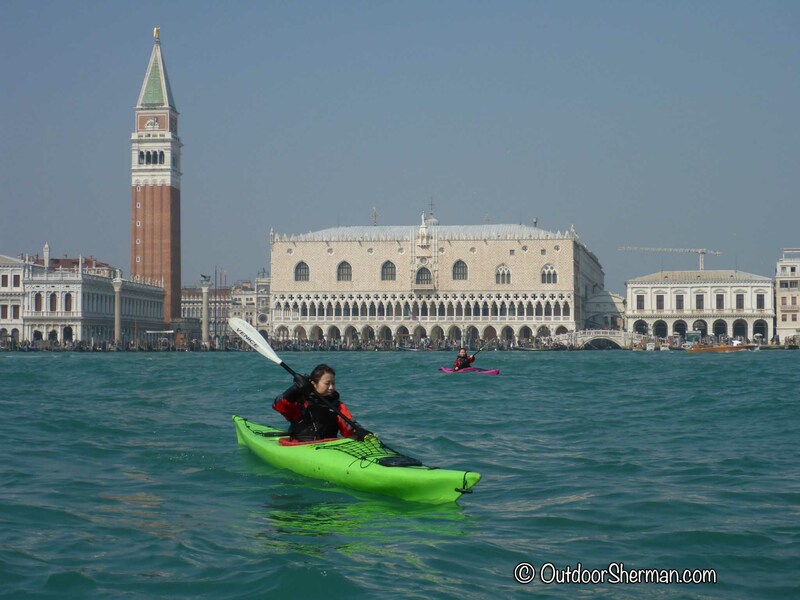 Discover Venice in a Kayak ! 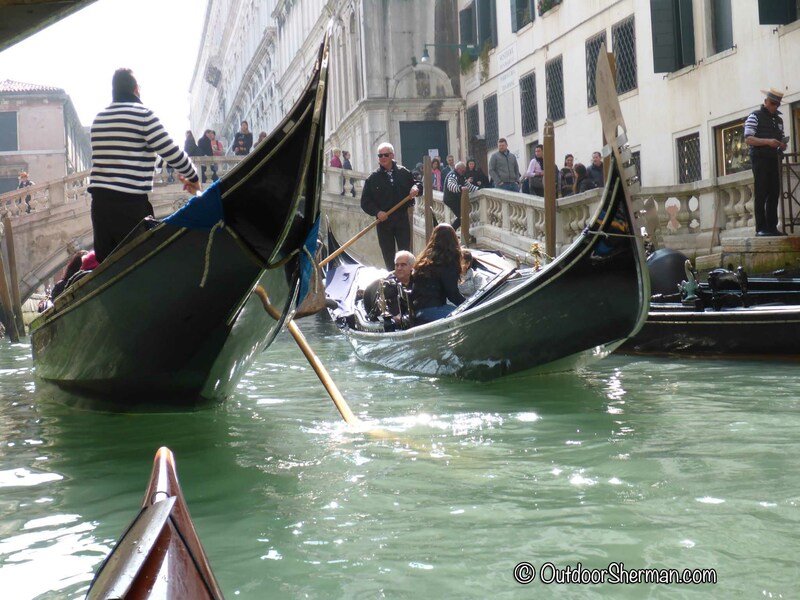 When my sister and I decided to add Venice as one of our stops on our Italy trip, we really wanted to take the gondolas to experience the canals since that’s what Venice is known for! 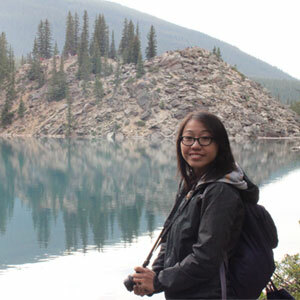 However, the more research we did, it seemed like it was such a touristy thing to do and it wasn’t cheap either (€80 for 40 minutes – roughly $115 CAD). 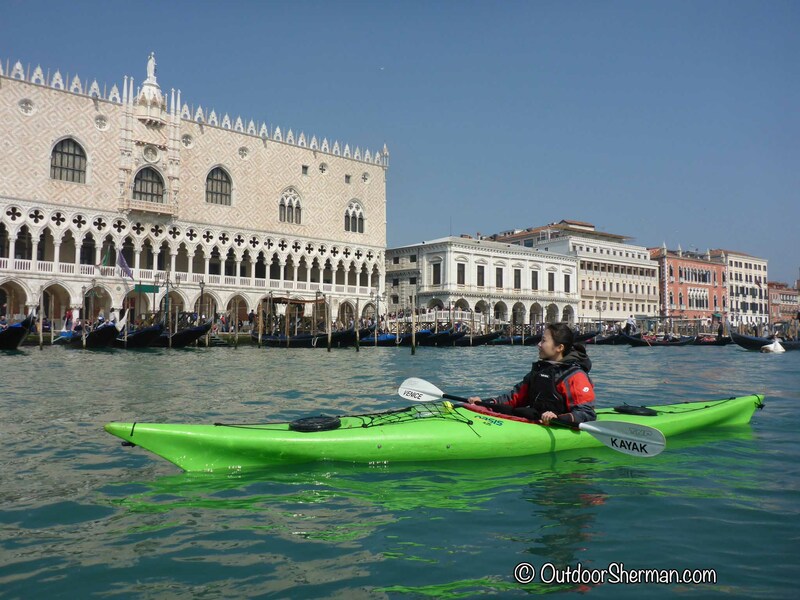 We really wanted something unique and luckily we came across Venice Kayak‘s website , a tour company that allows you to explore the canals on a kayak! It was a pretty sick idea since we had no idea that it was possible and we love to kayak so we signed up! 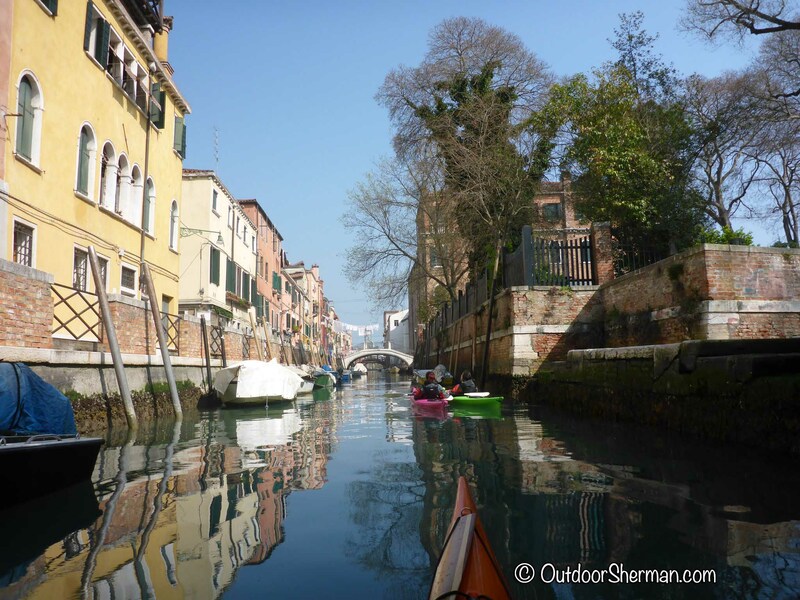 Check out my video of our Venice Kayaking Tour! We visited Venice mid-March so at the time, they only had the Half-Day Morning Tour so that’s what we booked. Yeah I know, it is still a bit more pricey that the gondola but it’s half a day and I guess it was the uniqueness that made it special so we thought it was more worth it! The meeting point was at Certosa Island so the only way to get there is by taking a vaporetto (aka water bus). Once we arrived, we met up with our guide Rene who then gave us our life jackets, windbreakers, and paddles. It was a sunny day but the weather was still a bit chilly in March so he was super nice and let me wear the dry suit underneath to keep warm! 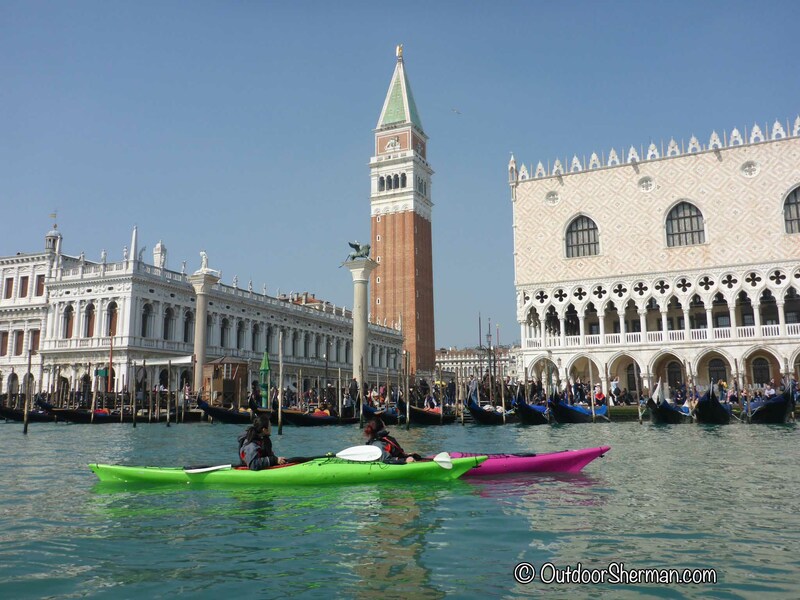 With our paddles in hand, we were ready to explore Venice! We started off leaving the island and crossing a wide open water. That was a bit scary since we shared this water with vaporettos, water taxis, and motor boats and they generate lots of big waves! If you’re not used to it, it feels like you’ll tip the boat so I don’t recommend this activity for beginner’s especially people who has never kayaked before! The first thing we visited was an old military base. Rene knows a lot about the city and its history so it was very interesting listening to him explain throughout the trip. 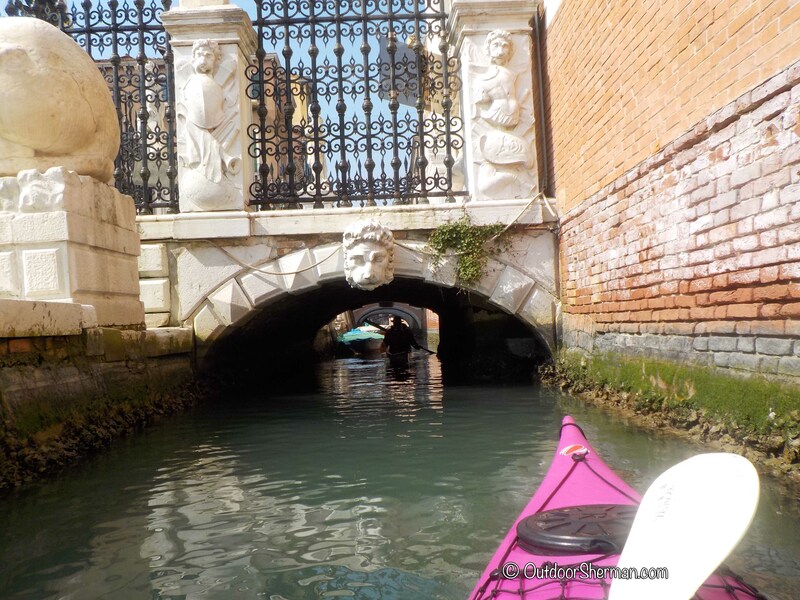 He then guided us towards the narrow canals of Venice which was very neat since we got to experience first hand how to navigate through these tight channels. We passed under several bridges along the way. There was one that was super low which we weren’t even able to use our paddle to get through so we needed to push off with our hands! We visited residential areas where we saw clotheslines hanging above us and locals looking outside their windows…it was great to experience a side of Venice that wasn’t just packed with tourists. One thing that I did notice about the city is how dirty and smelly certain areas were. 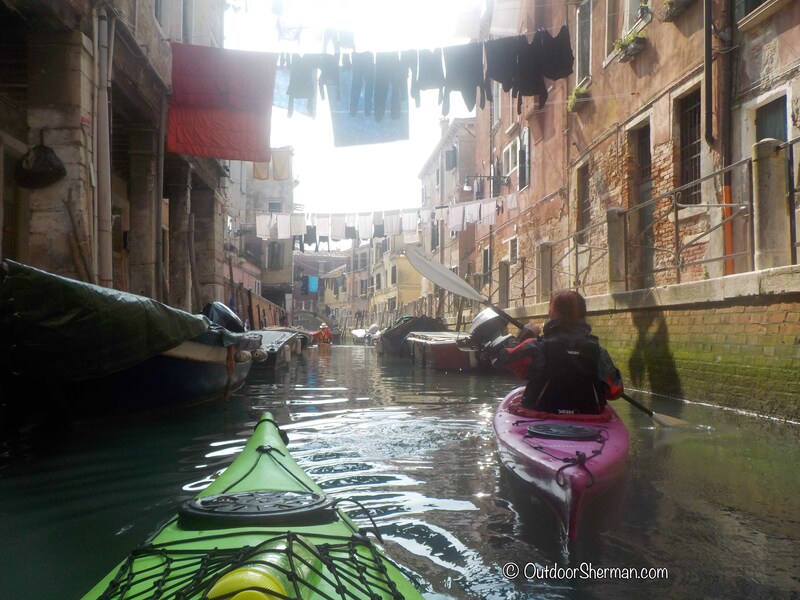 There were garbage floating around and certain areas smelled like sewage…but I guess that’s part of the adventure…to discover the other side of Venice you don’t necessarily see when you’re visiting the major attractions. 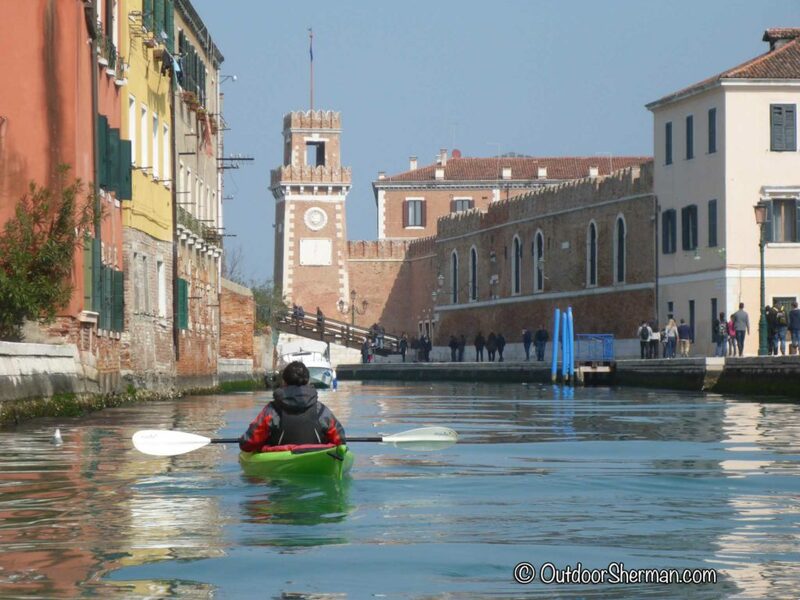 We navigated through the quiet streets until we started seeing more and more tourists. It was pretty cool to actually see them taking pictures of us…I guess just like us initially, they had no idea you could do something like this! 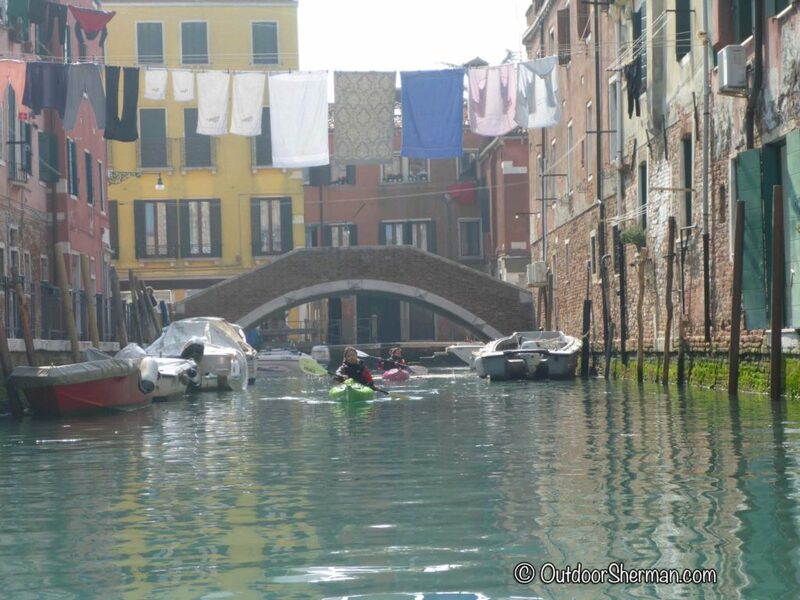 It did make us feel special 🙂 We started crossing paths with gondolas and it was so cool to be kayaking in the same canal as them! The crowds got bigger and bigger as we approached San Marco Square! We took a short break there and admired the view of the bustling square…it was quite a sight! 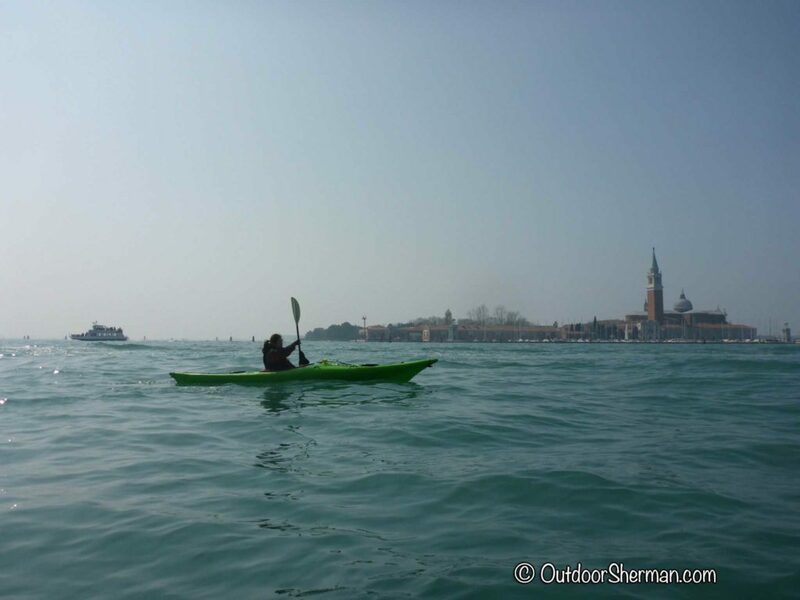 After taking some quick pictures, it was time to head back to Certosa Island. 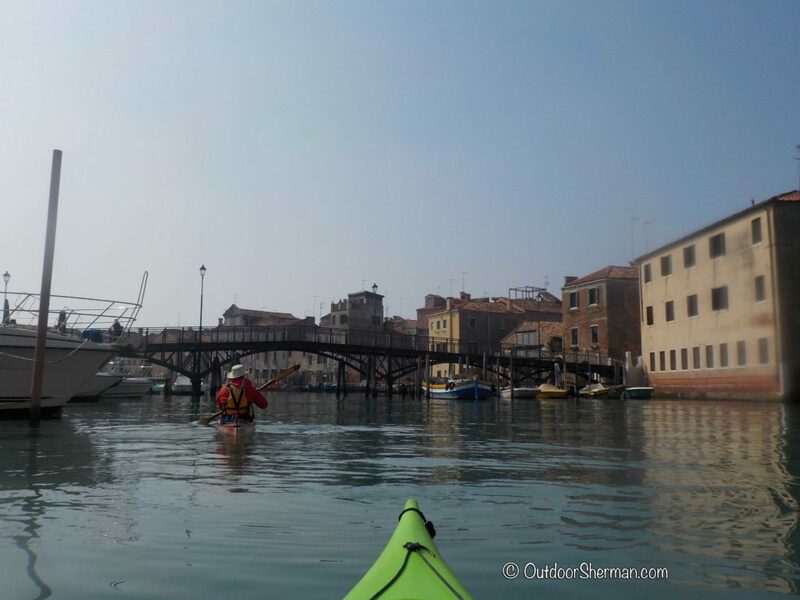 The whole trip took roughly 3.5 hours…and I mean 3.5 hours of paddling! So yeah, we were exhausted at the end…but definitely worth it! Overall, I had a really awesome time exploring Venice on a kayak! I mean…have you heard of anyone doing this when they visited Italy…don’t think so. Rene was also a really knowledgeable guide and he took pictures of us throughout the trip (which he later send us via email) so it made the tour even better! So if you’re an adventurer and want to try something unique, you should definitely give this a try!